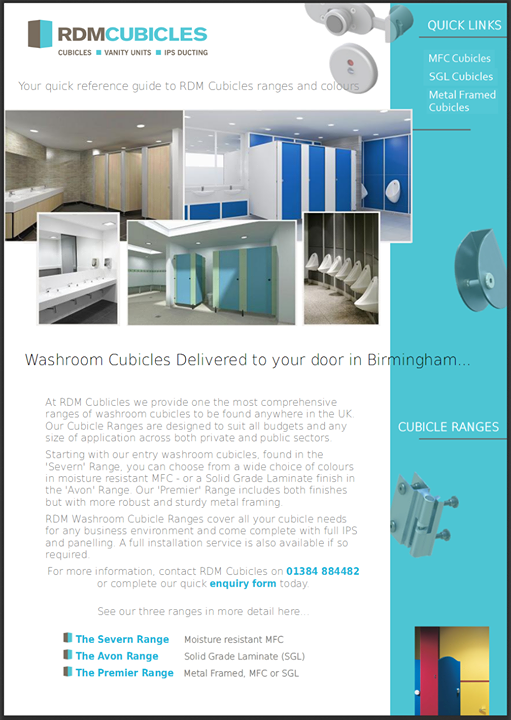 At RDM Cubicles we constantly try to offer only the best quality Washroom Cubicle Solutions to our customers located in the Chesterfield area. 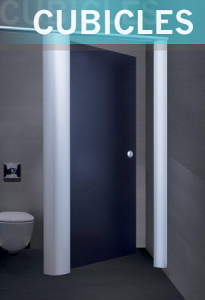 With an complete range of Cubicles, IPS Ducting & Vanity Units RDM are able to provide full solution for almost any installation. Whether your needs are in Education, Leisure, Retail or a typical workplace environment, then RDM can help. With a diverse spectrum of cubicle systems; from Moisture Resistant Melamine Faced Chipboard Cubicles to metal framed Solid Grade Laminate solutions, RDM Cubicles are ideally located to have your cubicles delivered to your Chesterfield location within 1 hour and 40 minutes of your order leaving our stores.